This plan is designed for the rider that has very limited training time each week. 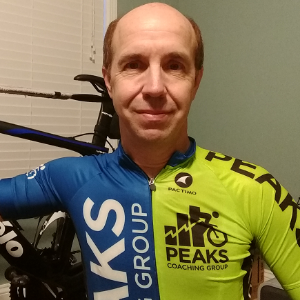 The goal of this plan is to help a rider maintain cycling fitness, keep the legs loose and sharp, and ready for the time they can get back to a full riding schedule. This is a 5 week plan. Each week contains two weekday workouts and a Saturday and Sunday workout. Workouts are designed to keep fitness in all areas of cycling demands. Leg speed, Power, VO2, Force are all covered in the workouts. The plan can be used over and over. These short workouts are great for that 'emergency' workout day when your 3 hour ride plans turned into only an hour! A few bonus workouts are added for you to use when you have that extra day or two to workout. Any day you have extra time you can simply add 30-60 minutes or more after the prescribed workout. Workout Files. On most workouts will be a downloadable file. These can be used on Zwift, ERG Video, Trainer Road and most other training software. Also .FIT files can be loaded on your Garmin to use as a workout on the road. With this plan we highly recommend a training platform like Zwift. Extra ride time can start immediately after your workout. Really makes sitting on a trainer interesting and loads of fun. Warm up 10 minutes by spinning 90-100 rpm in a light gear, zone 2. Then do 20 x 1 minute @110 rpm, not a hard effort. Watts in zone 3. 1 minute easy between. Then an easy 10 minutes zone 1 to cool down. This simulates climbing, lower cadence, high power. 4 minutes at 75-80 rpm mashing a heavy gear (53 x 16, 15, 14?) Then spin 1 minutes easy. Repeat for a total of 8 reps. Focus on a silent upper body and a smooth stroke. Power at 85-90% of FTP. 3 x 10 min at FTP. Easy 5 minutes between efforts. This is a great warm up routine that I built to get the legs warmed and ready for an effective FTP workout. BUT today we are using it as a short workload for the legs. I have added 30 minutes of zone 2 to make it a less than one hour ride. In the endurance section mix up your cadence. Vary rpm from 70 to 100-105. Keep watts in Zone 2. Now hit it hard at VO2 Max for 3 x 3 mins, 95-98 rpm, rest easy 5 mins between efforts. Then do 1 x 5 min FTP effort. Cadence on all try for 95-100 rpm. Nice and smooth, nothing too hard. This is a great short workout to get the legs and body opened up.